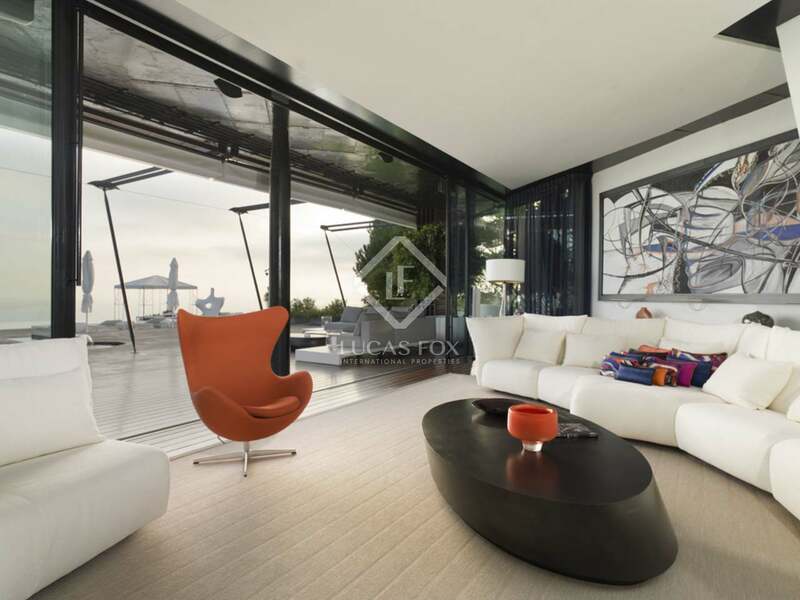 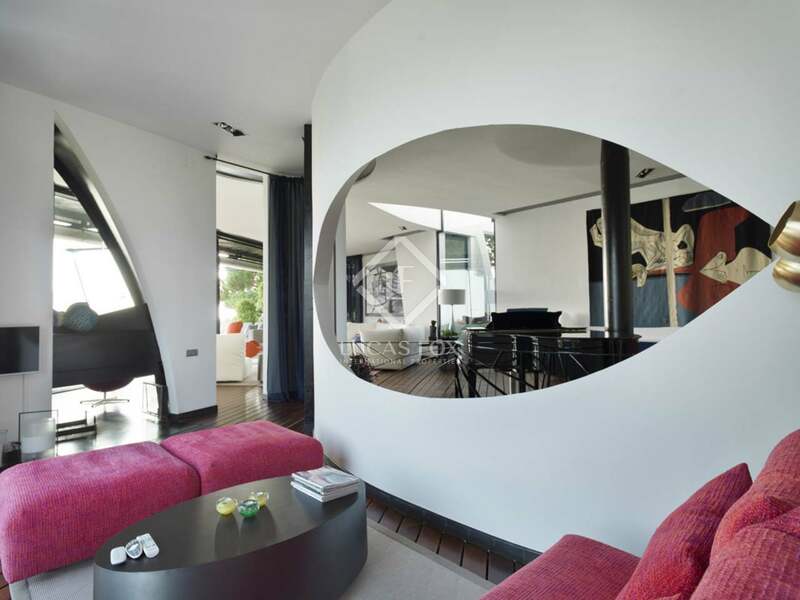 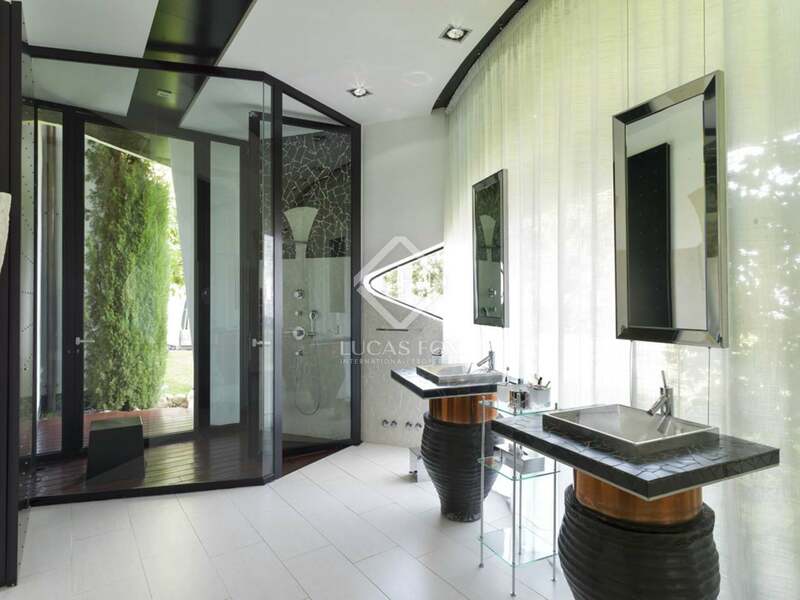 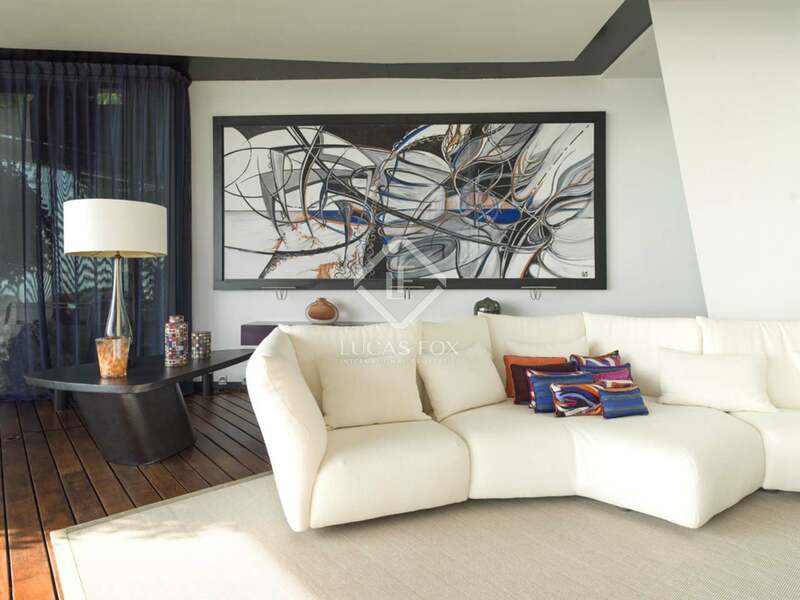 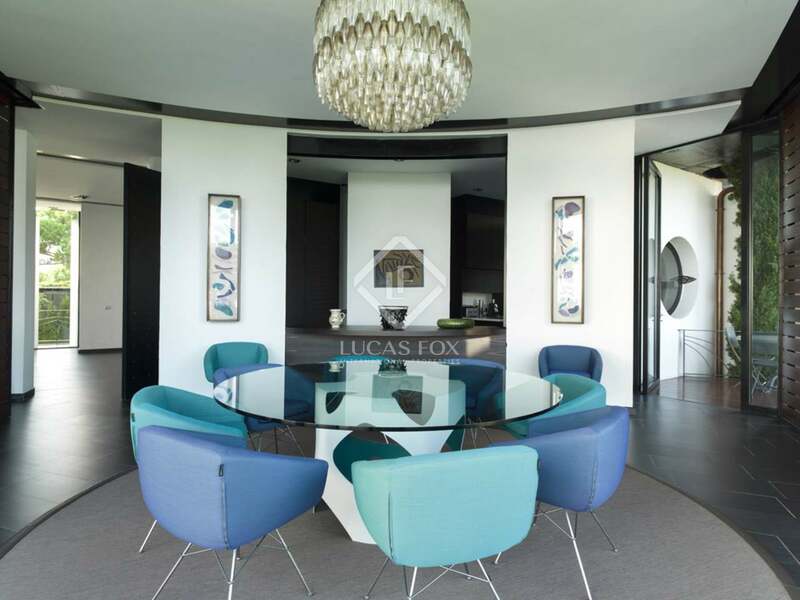 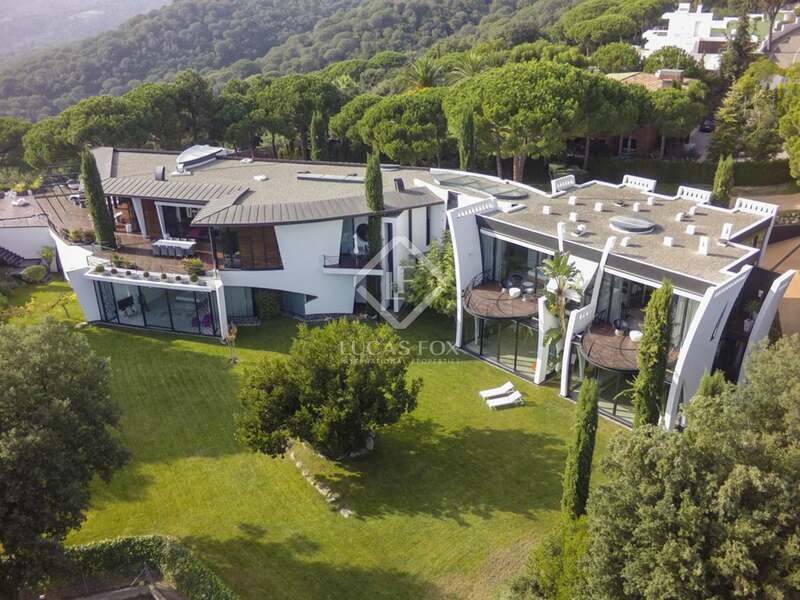 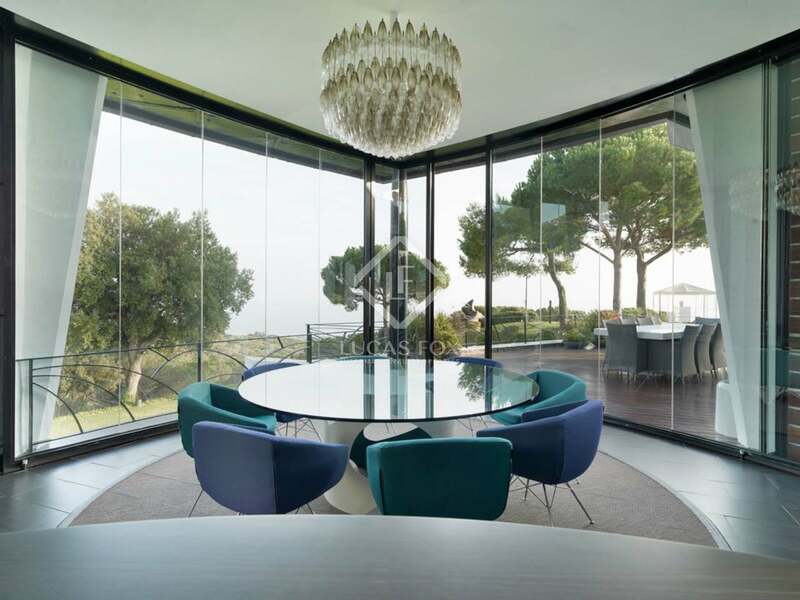 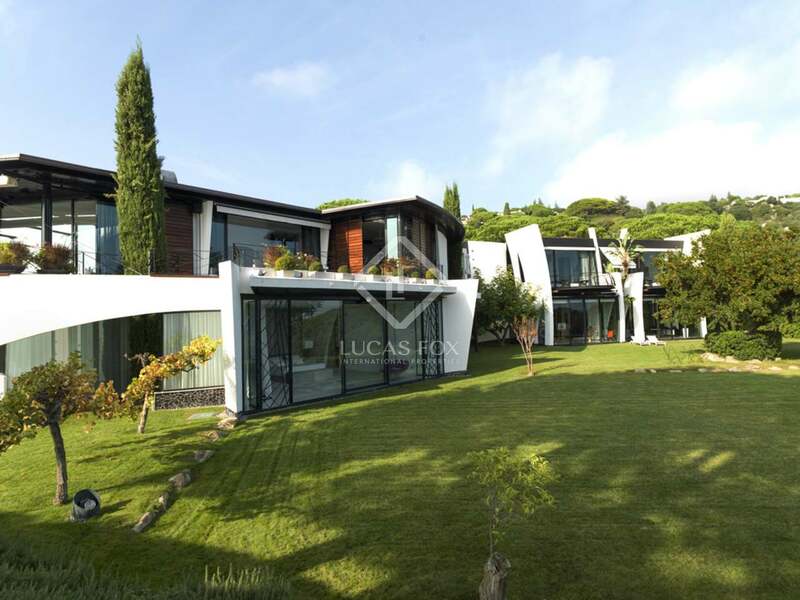 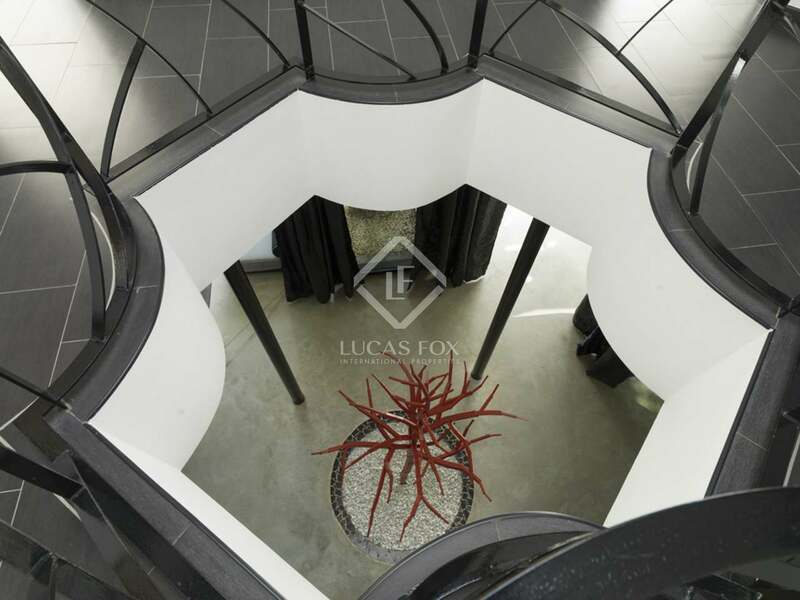 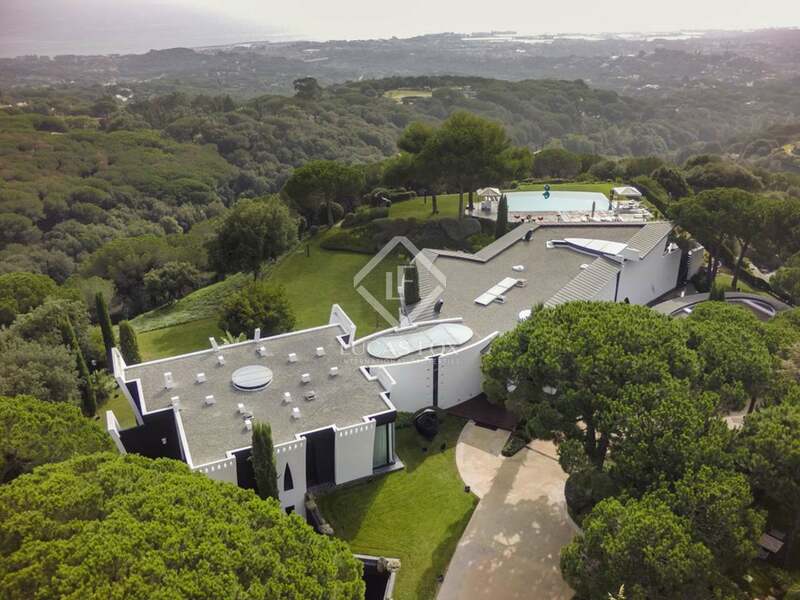 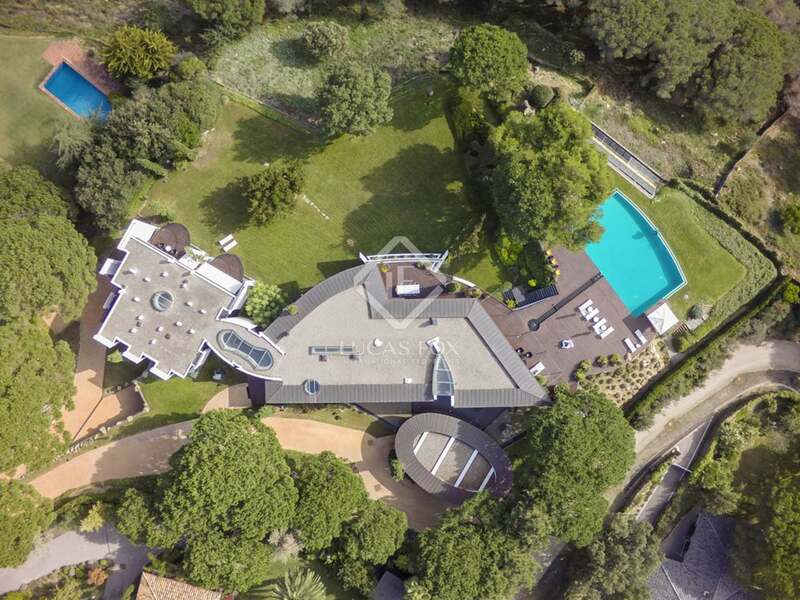 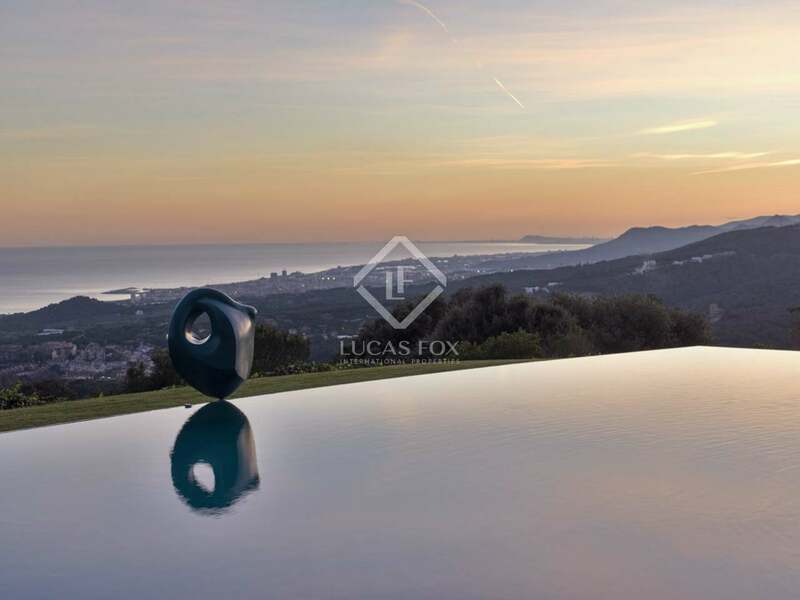 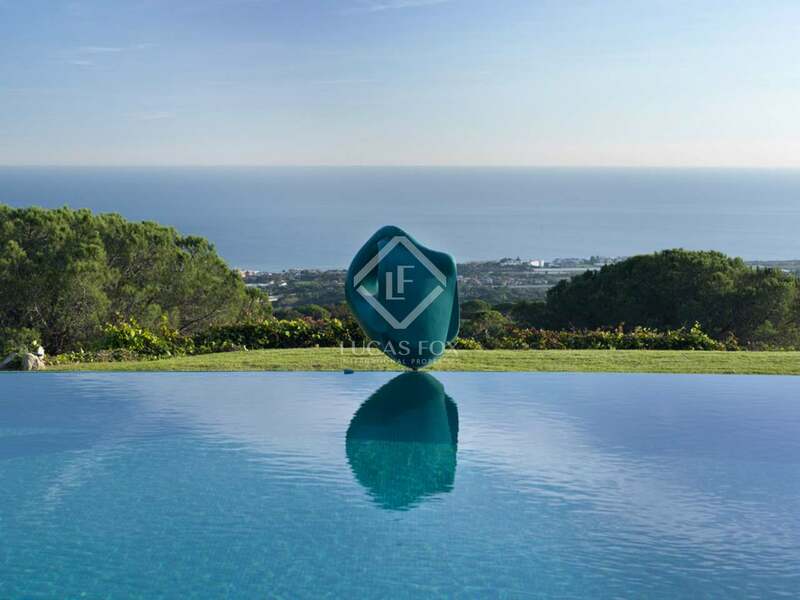 Standout luxury mansion with contemporary interiors and stunning landscaped exteriors on a very private plot in the exclusive Supermaresme residential area of the Barcelona Coast. 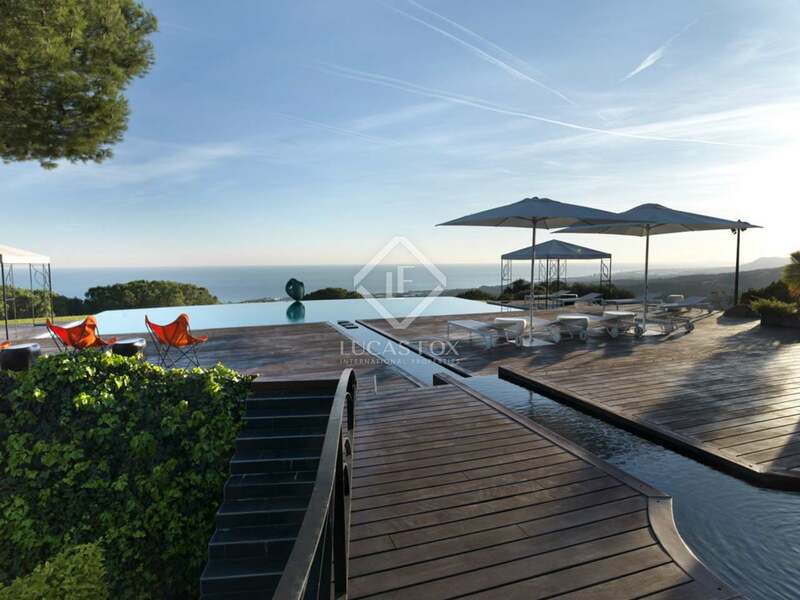 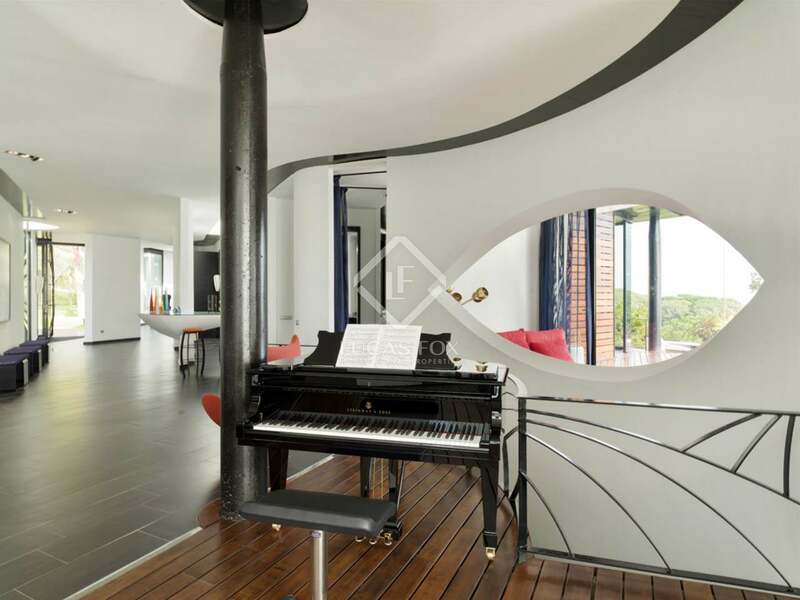 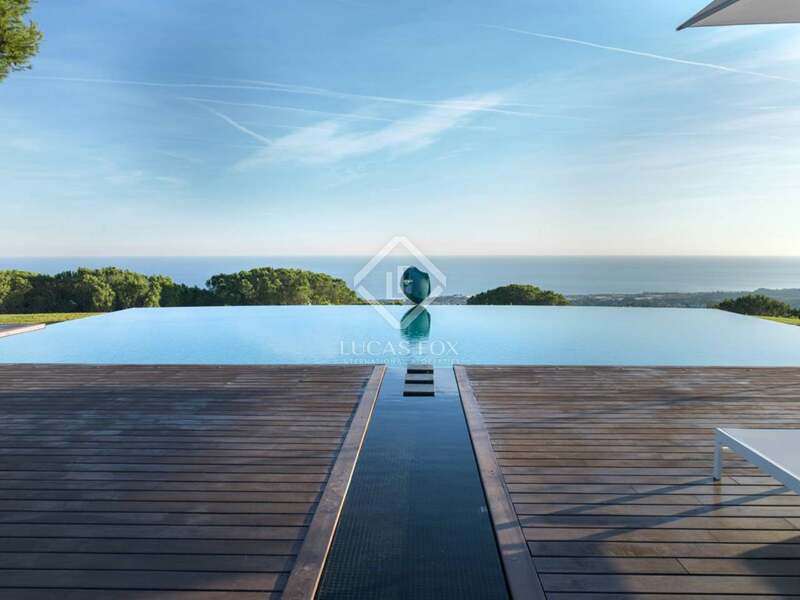 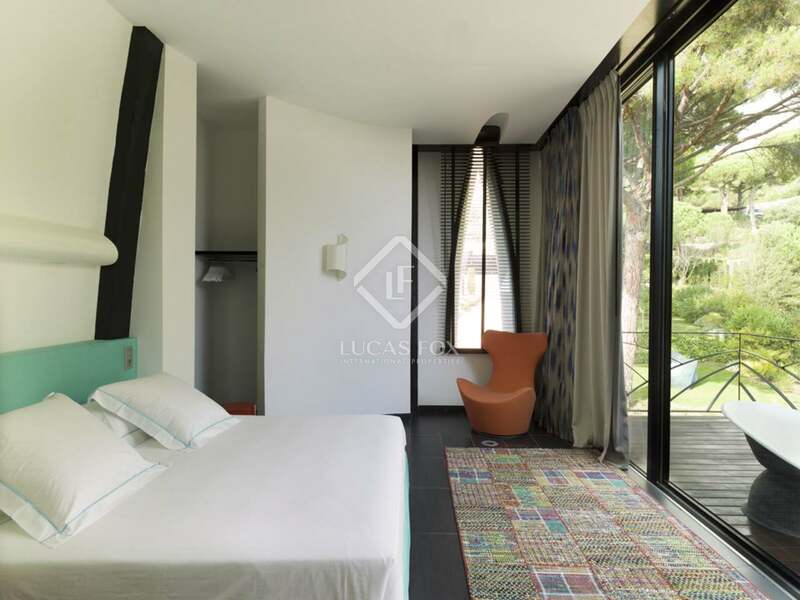 This exquisite luxury property is located in the most upmarket residential neighbourhood of the Barcelona Coast: Supermaresme in Sant Andreu de Llavaneres. 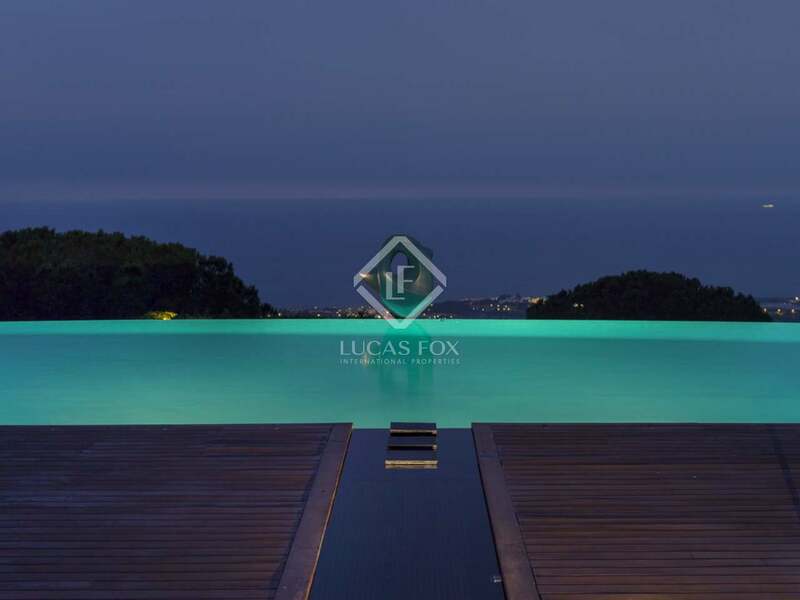 Constructed on a large hillside plot of over 6,000 m² and boasting exceptional panoramic views to the Mediterranean Sea and to the Barcelona city skyline, this is one of the region's standout luxury properties. 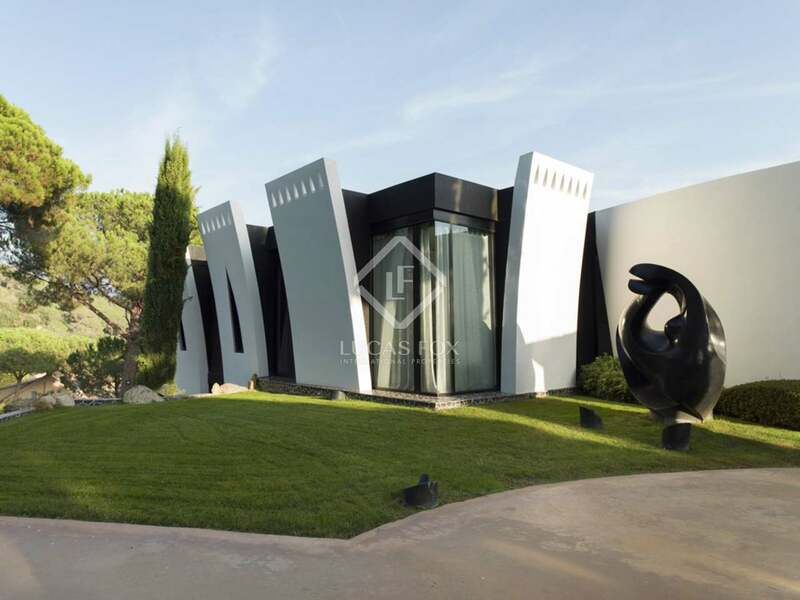 Constructed in 2003, the property was designed by French-born Architect, Erik Morvan, and has featured in numerous Architectural publications. 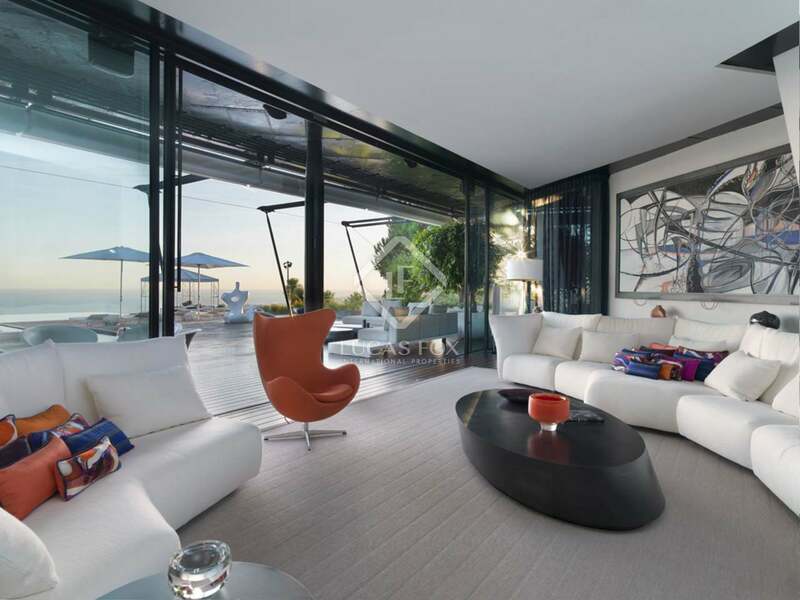 The concept behind the property's unique design was said to have been inspired by rippling muscles and the landscape. 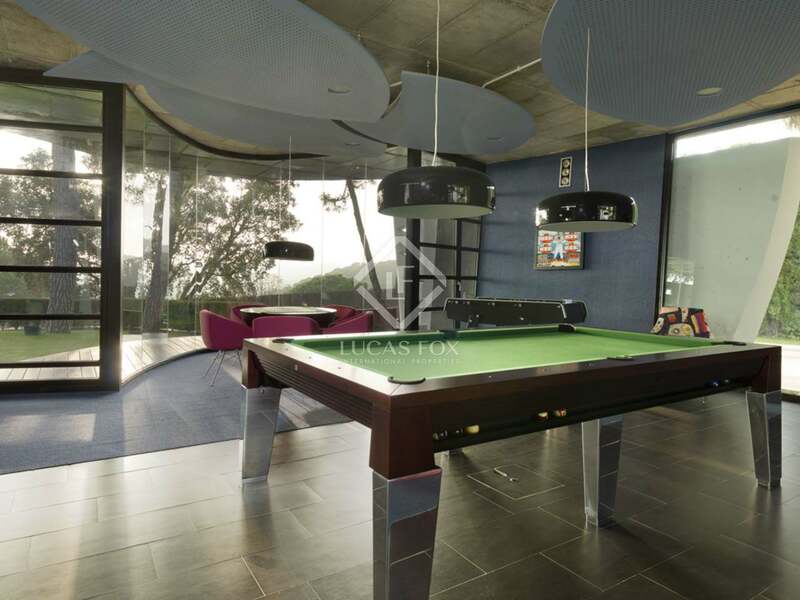 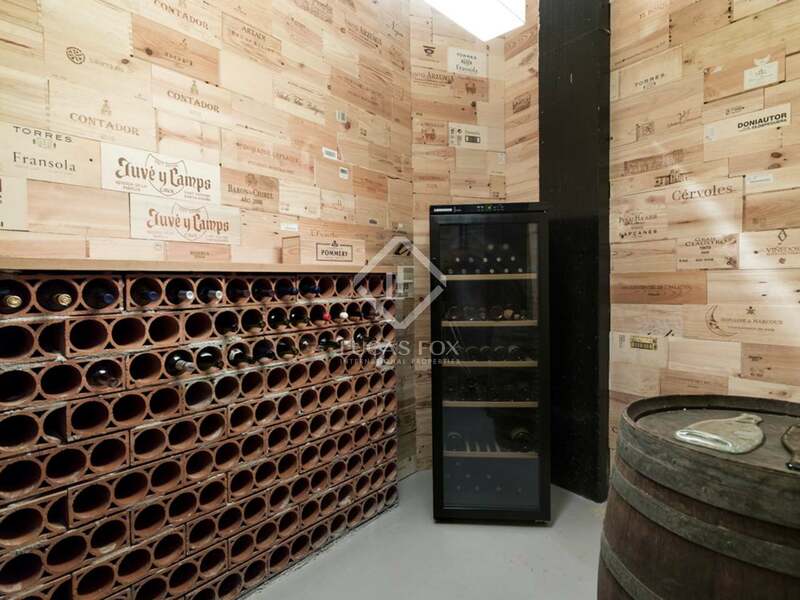 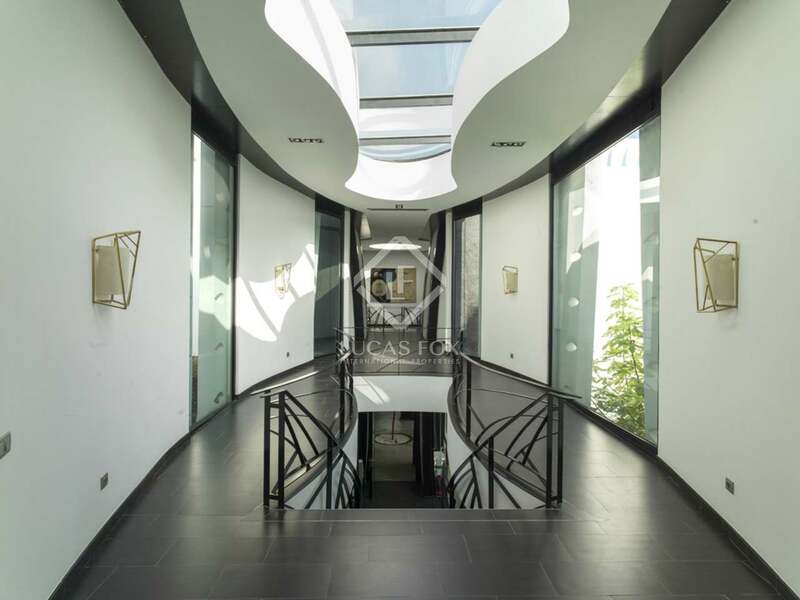 The property's total constructed area amounts to over 1,500 m² and includes a two-storey main house boasting 5 main bedrooms, live-in staff quarters, a 5-car garage, an office, art studio and an annex building currently set up as a home cinema and games area. 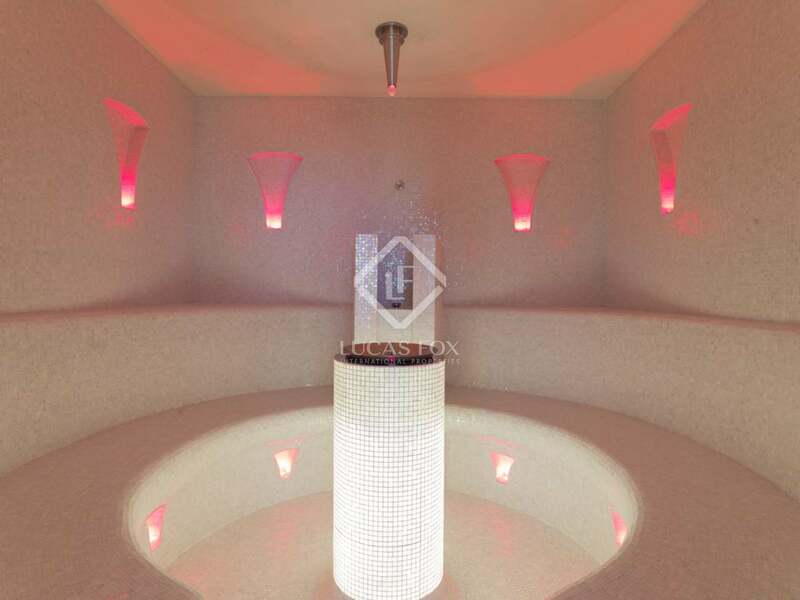 The main house is equipped with a lift and boasts a spa area with Turkish bath and private gym. 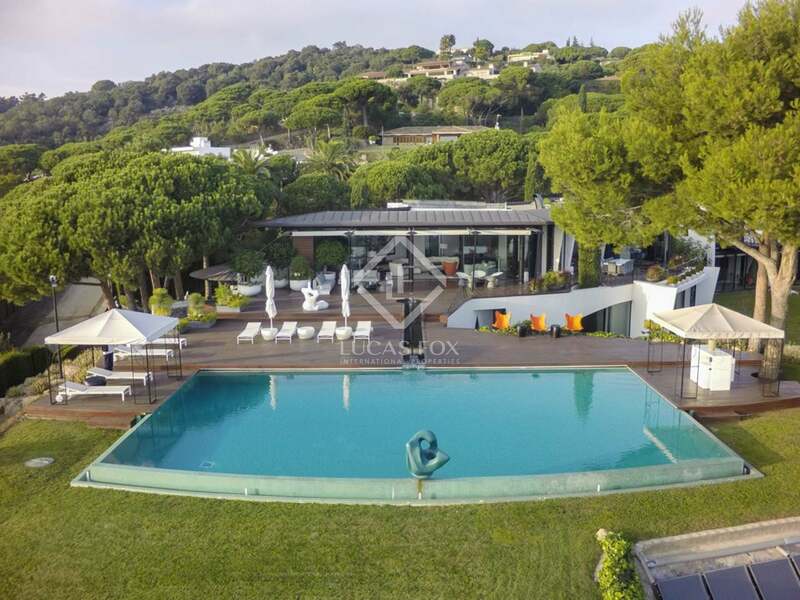 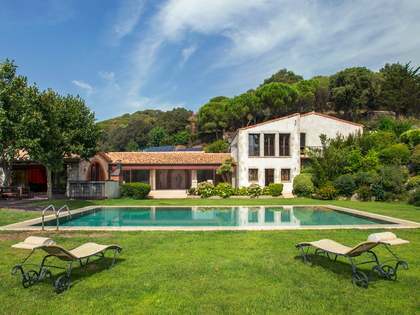 Just 40km from downtown Barcelona, the house sits on a large south-facing plot affording total privacy and is surrounded by a beautifully landscaped exterior with lush lawn gardens, vines, large terraces and a stylish infinity pool with bar area. 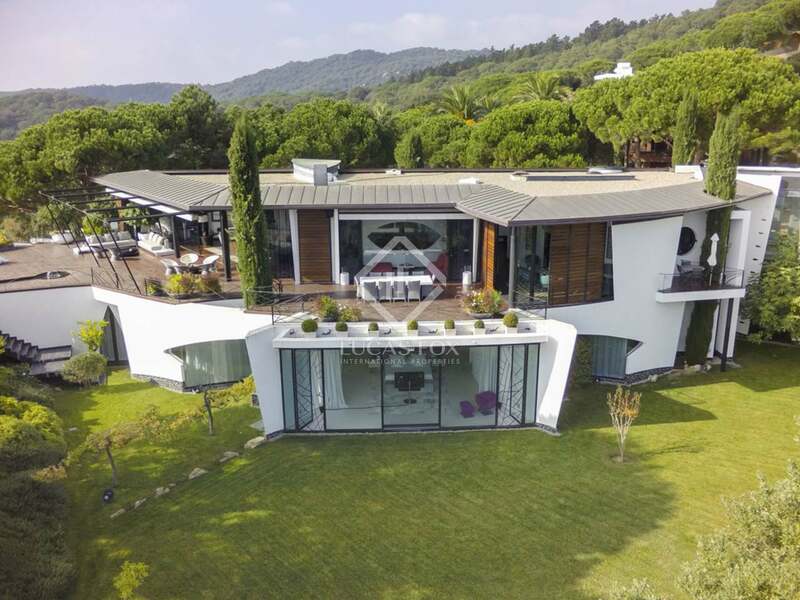 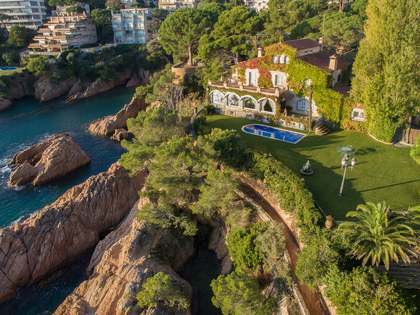 The Supermaresme residential estate is renowned as the most exclusive and sought-after address on the Barcelona coast and has seen some of the region's largest residential transactions of recent years. 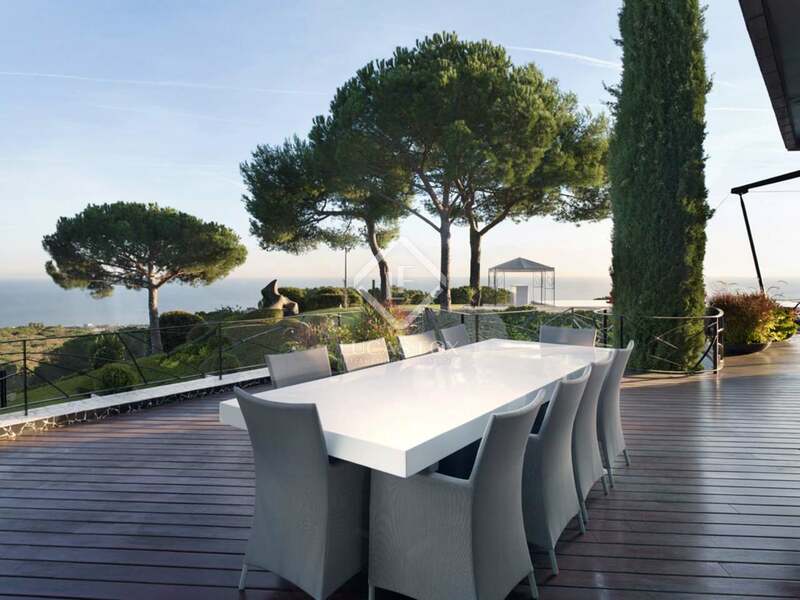 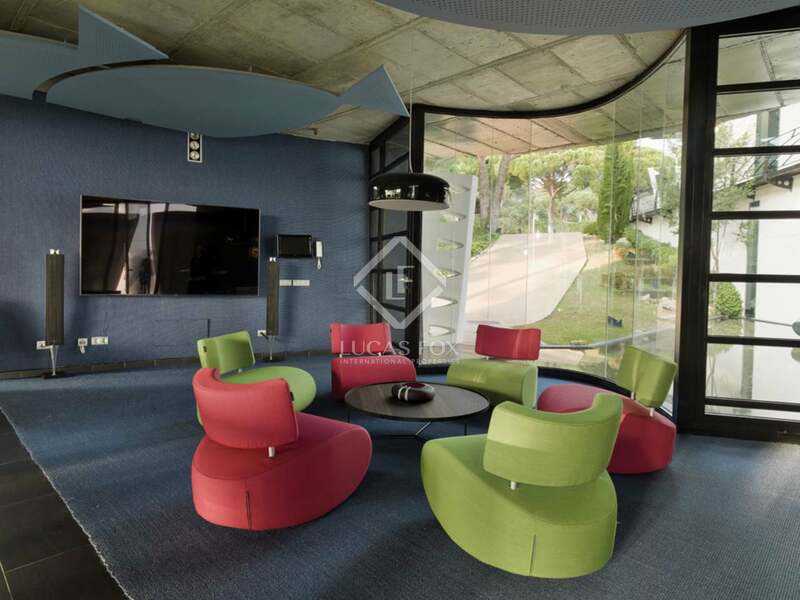 The estate has 24-hour security, CCTV and private sports facilities for residents (including tennis and padel courts). 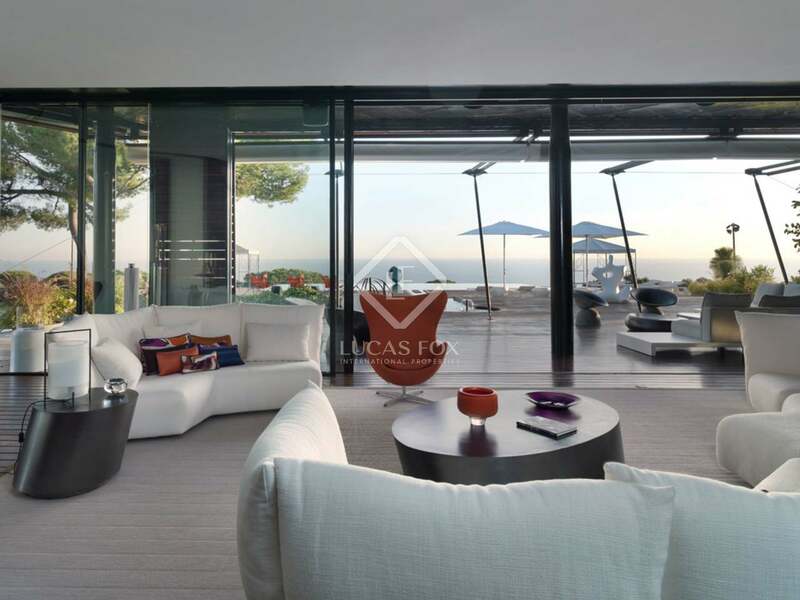 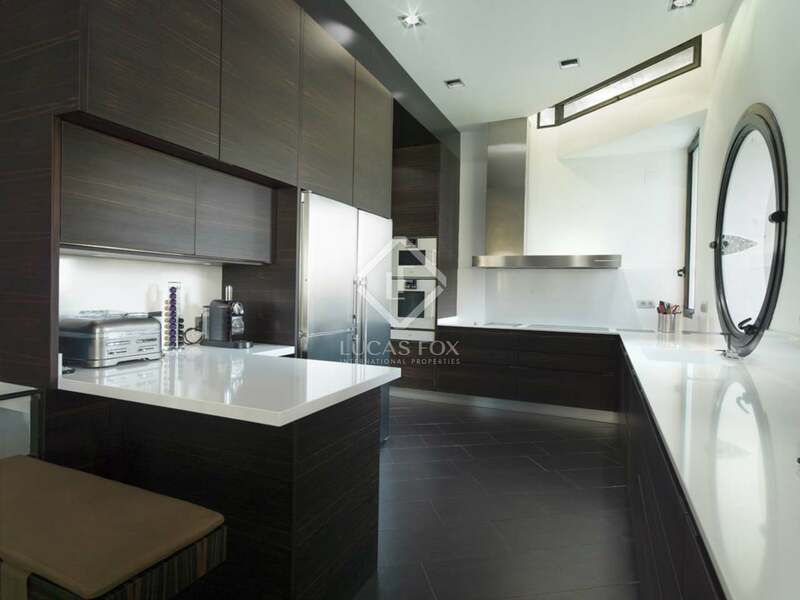 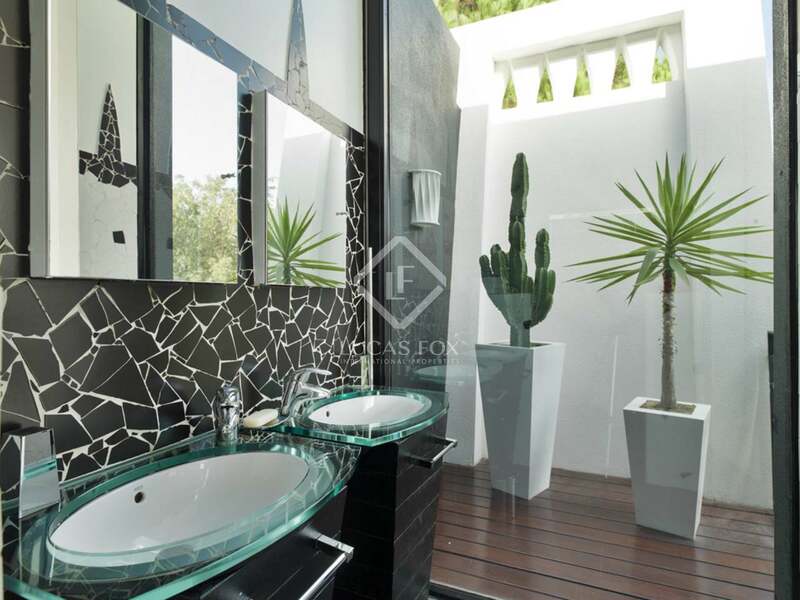 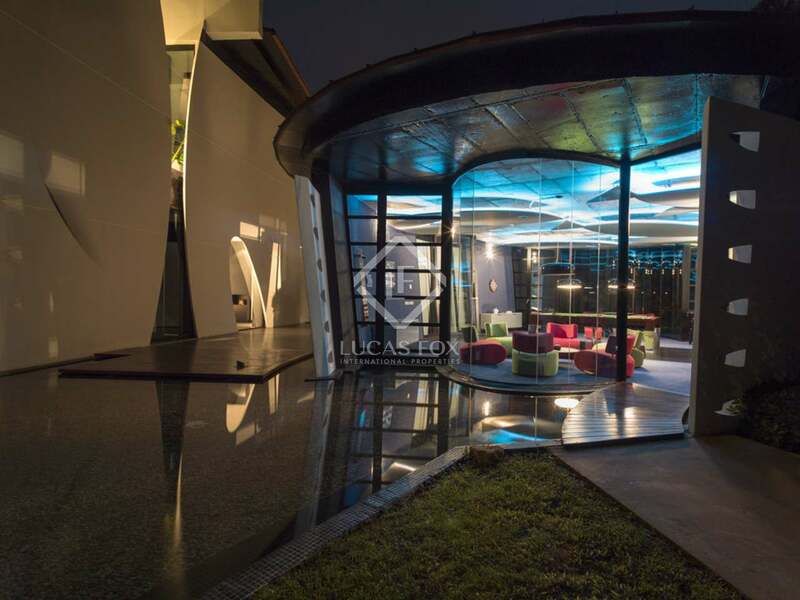 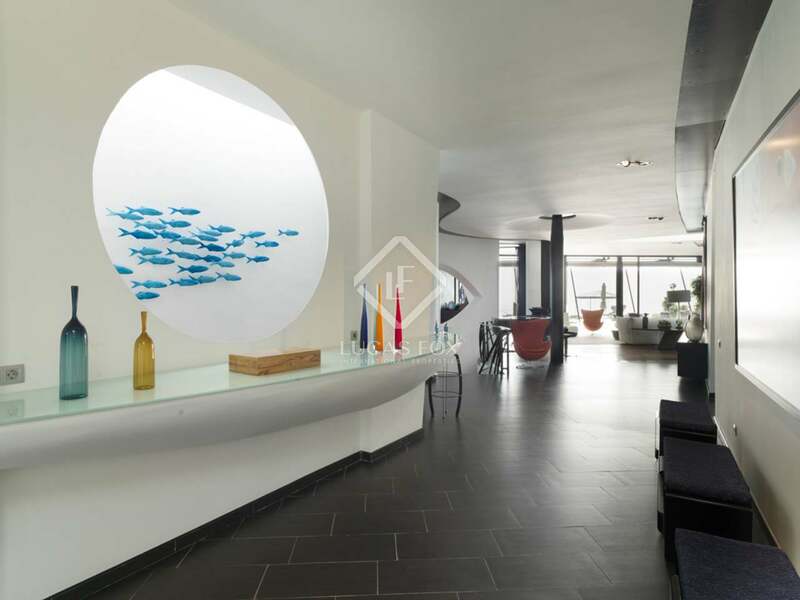 The property is equipped with underfloor heating, a Sonos music system, interior and exterior water features, motorized glass doors, automatic sunshades, security alarm and CCTV. 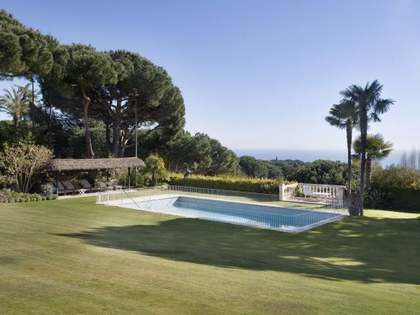 There are solar panels for hot water provision and swimming pool heating. 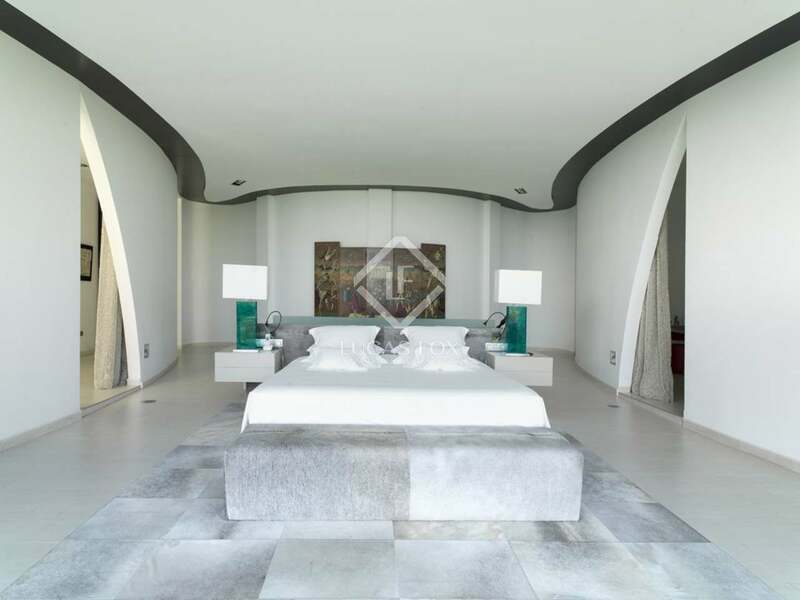 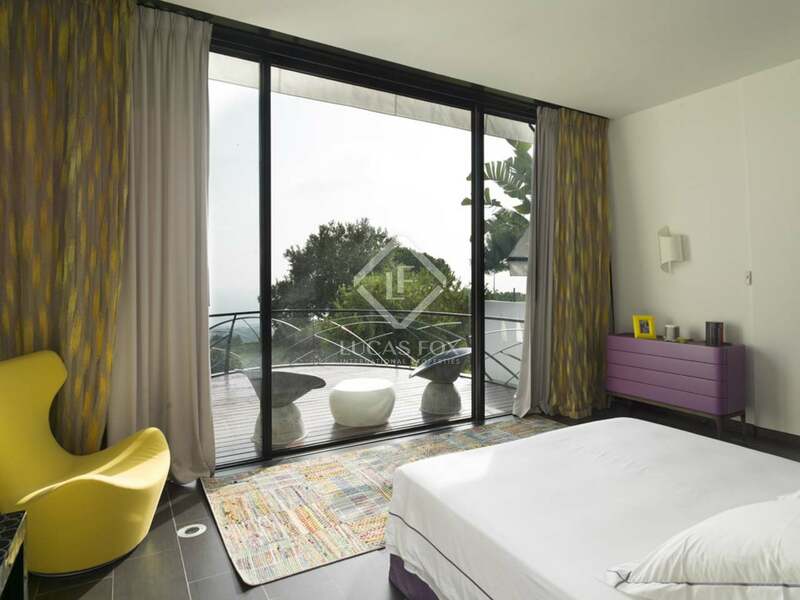 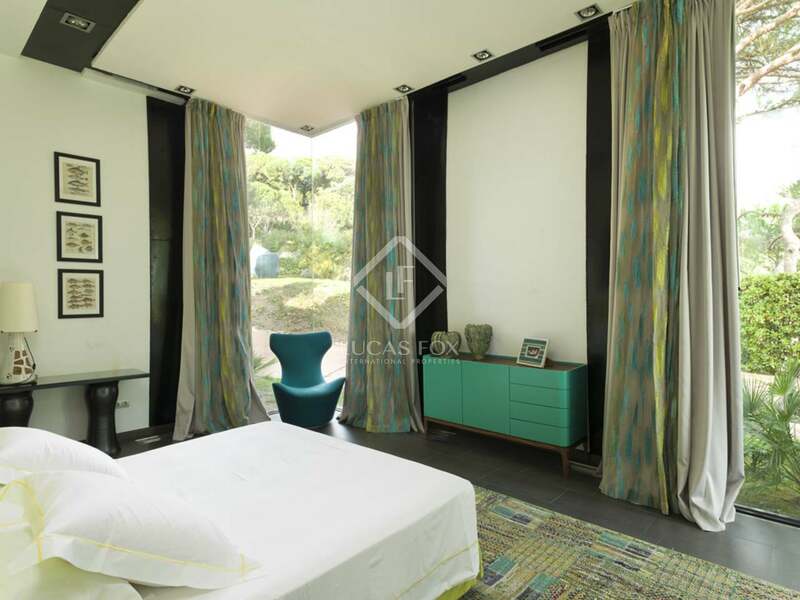 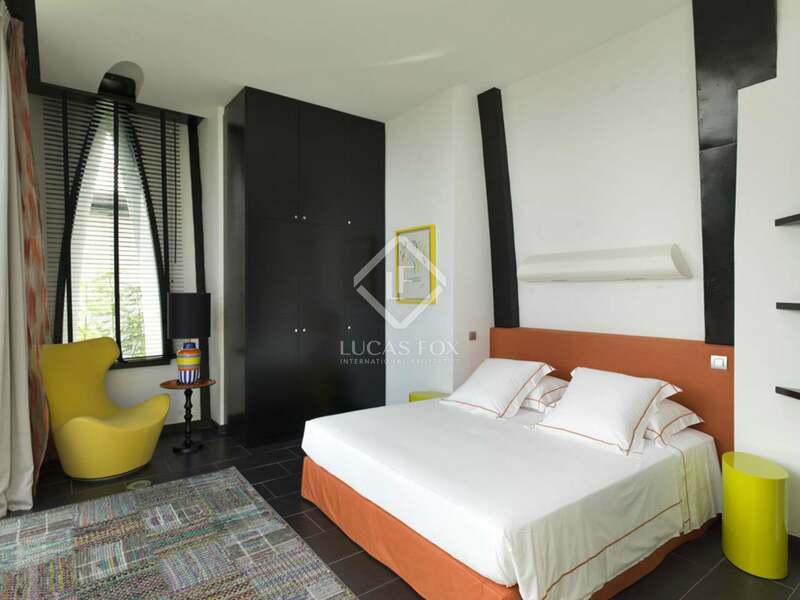 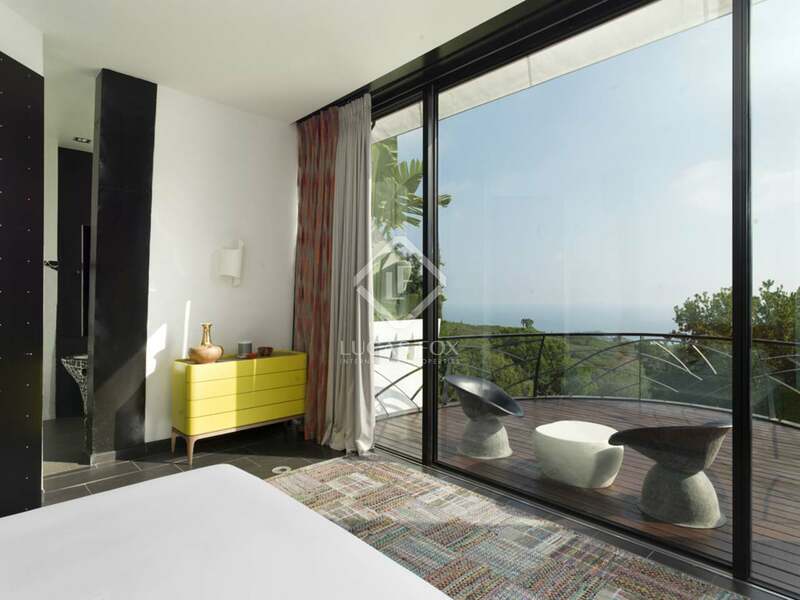 A generous sized master bedroom with direct access to the garden and sea views. 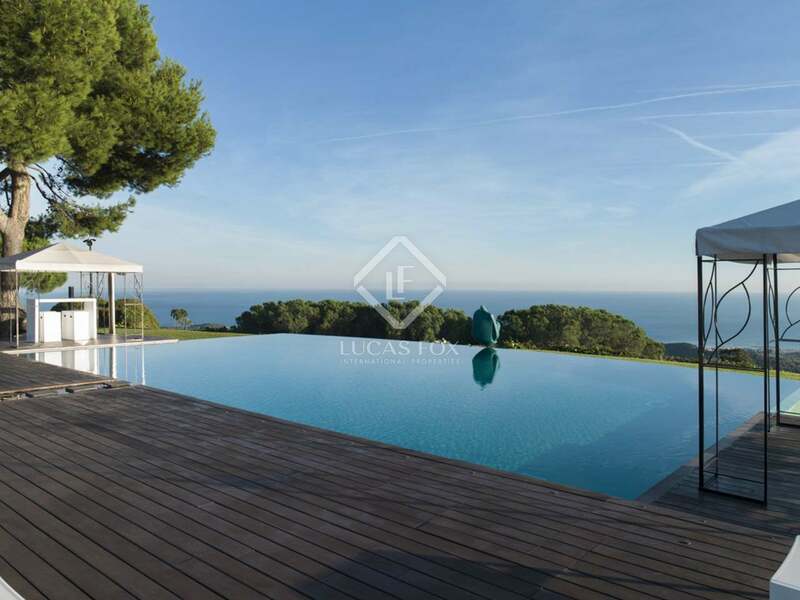 The home is located just 40km from downtown Barcelona city and only 5km from the nearest beach and marina. 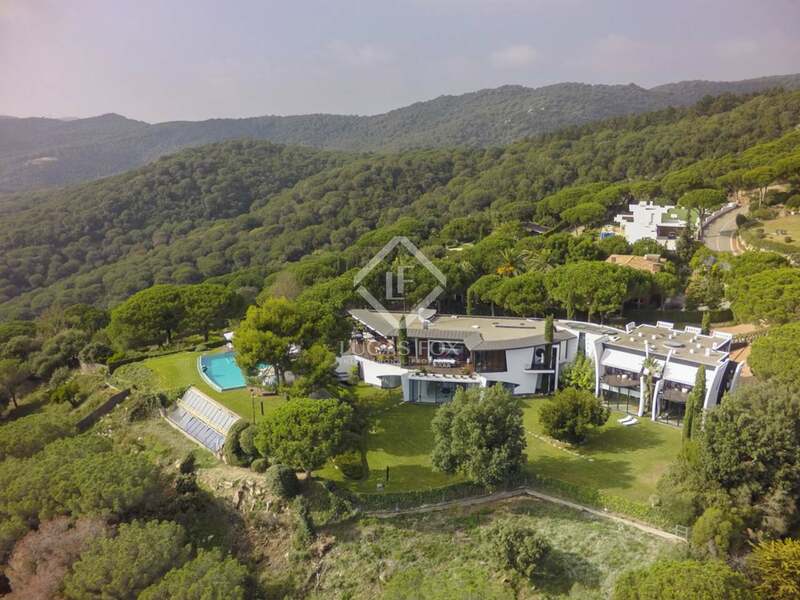 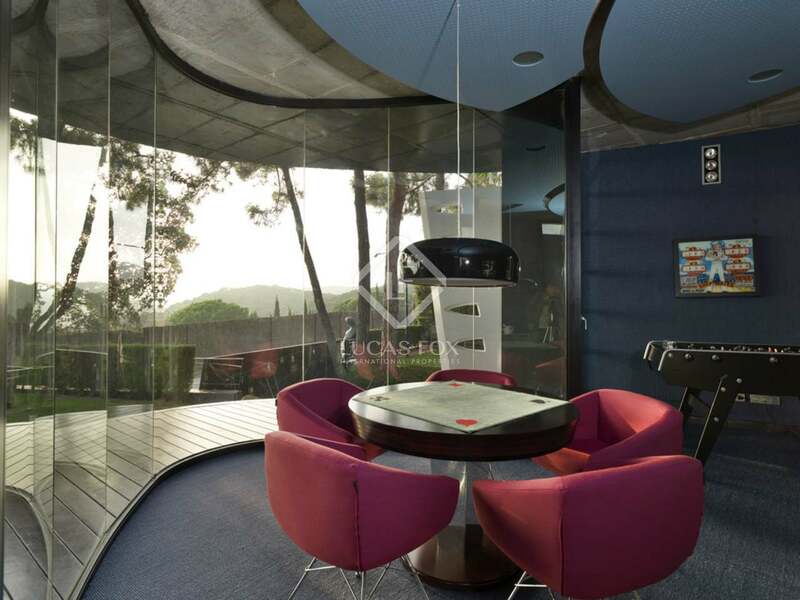 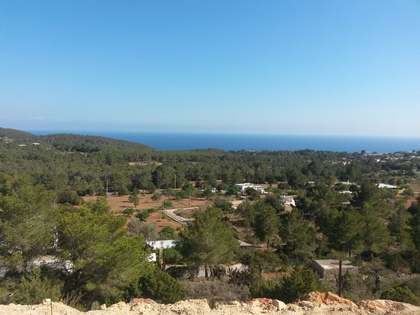 The property is equidistant from Barcelona Airport and Girona Airport (55km). 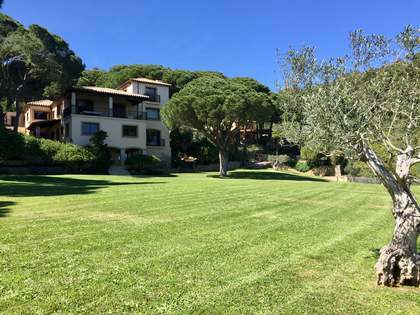 There are two golf courses within a few minutes' drive of the house and the Serralada Litoral natural park is just moments away, offering a host of outdoor activities including mountain biking, rambling and horse trekking.